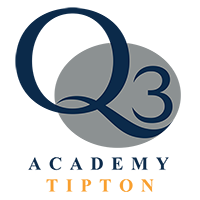 Thank you for your interest in any prospective vacancies at Q3 Academy Langley. We are fully staffed for the current academic year 2017-18. From September 2017 we will be starting our recruitment process for Year Three – 2018-19 and welcome any informal discussions with colleagues who may be interested in joining us on our journey. In addition, we will also need Learning Consultants in the non-EBacc subject areas – Art, Drama, P.E and Design Technology as an example. In the meantime, we would welcome any informal visits about possible future roles at Q3 Langley as we grow and increase to our full capacity of approximately 1,500 students. Please contact us using the details below.